Mayor Don Iveson says the highlight of his year was being a part of a first-of-its-kind economic engine called Edmonton Global, an entity that aims to develop diverse industries and attract big projects to the region. A landslide victory for a second term as Edmonton's mayor apparently wasn't Don Iveson's loftiest accomplishment of 2017. Neither was passing the 2018 budget with a lower than projected tax increase. "The real highlight for me over the last year has been watching this region come together," Iveson told CBC News in a year-end interview. 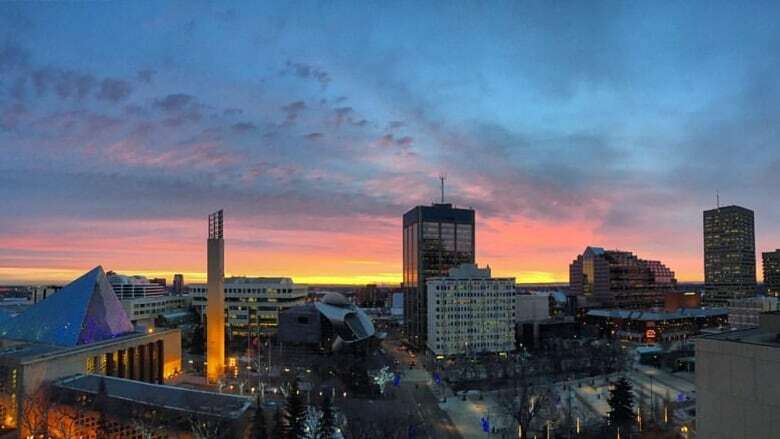 The mayor was referring to a non-profit entity called Edmonton Global, a regional economic development group incorporated in June with responsibility to attract innovation and talent to the region. "I'm much more optimistic about the future of a united Edmonton metropolitan region," Iveson said. "That really came together in 2017." From the small town of Bon Accord to the larger Leduc County,15 municipalities pay to be part of Edmonton Global. 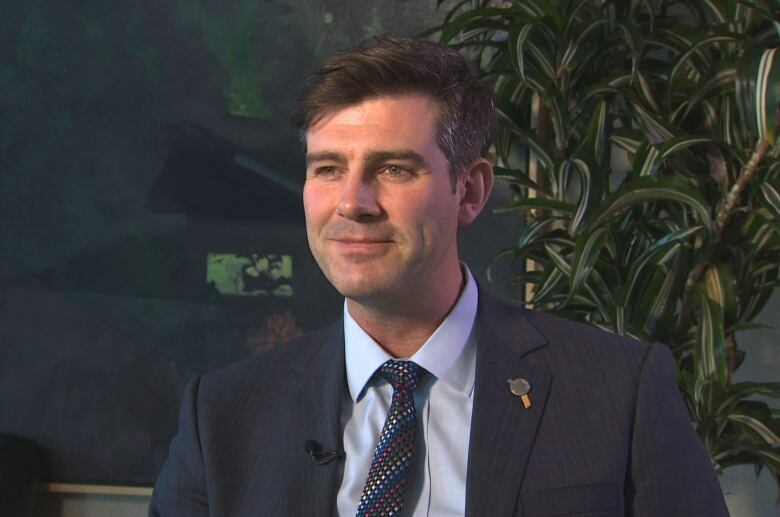 Mayor Don Iveson said he's optimistic the economic collective can attract new businesses. (CBC) "Edmonton metro, pound for pound, should be able to go out there and compete with the other mid-size cities in this country and in the world," Iveson said. As the recent recession begins to lift, the regional partners want to build a regional economy based on diverse industries, in a bid to move away from relying on oil and gas. That means "everything from food to health to AI (artificial intelligence) to advanced manufacturing to petrochemicals," Iveson said. "When oil is $100 a barrel, you know, you can play for keeps and you can think small," he said. "But in this economic environment, we have to think collaboratively, we have to think entrepreneurially. And we're stronger together." With new mayors elected in several jurisdictions, such as Sturgeon County, Strathcona County and St. Albert, Iveson said he gets a sense of "accelerating desire to collaborate and drive prosperity." You won't get an argument from Strathcona Mayor Rod Frank. Frank said he thinks international competition for products and services is building, so a cohesive force will be more effective. "There's no point in us, for example, Strathcona competing with St. Albert for a business when we can get together and beat out the Calgaries of the world," Frank said. "It's better that we band together and win this business." 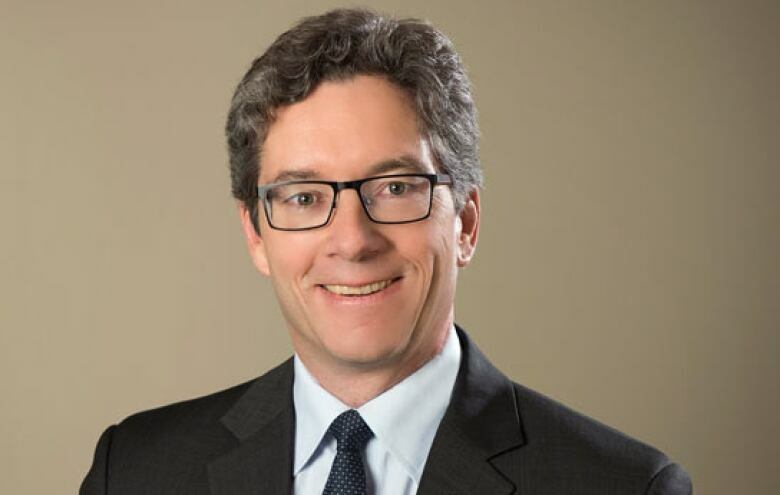 His county has already landed a big project, after Calgary-based Inter Pipeline announced this month it will build a petrochemical plant in Strathcona County — the country's first integrated propane dehydrogenation and polypropylene complex. The plant will process low-cost propane into polypropylene, which the company said is a high-value, easy-to-transport plastic used to manufacture a wide range of finished products. Frank said the plant, scheduled to open in 2021, will create 180 full-time jobs and benefit three or four municipalities. He said oil and gas may continue to be a big part of the economy but Edmonton Global will be key in attracting investment in health, education and high-tech industries. "We're not just a one-horse town anymore," Frank said. The legal cannabis industry can use local talent and draw investment to the region as well, Iveson said. When marijuana becomes legal next summer, Iveson said the city will encourage developing an industry based on the science of blending food and cannabis. "We're actually really good at varieties of agriculture in this part of the country," Iveson said. "Alberta makes sense, and Edmonton in particular, as a destination for investment in this big green new industry." He thinks municipal governments should get one-third of the total tax revenues to cover costs of policing and enforcement in relation to impaired driving. The federal government announced recently the provinces will get 75 per cent of the total. The year wasn't without challenges for Iveson and the city. The Metro Line LRT — a perennial thorn in the mayor's side — generated plenty of bad press. Two years after the line opened late, city staff revealed the train has had 49 problems related to the signalling system, six major failures. Iveson was a councillor in 2008 when council approved the Metro Line and commissioned Thales to install the signalling system. He told CBC News that with the back-up systems in place, including having conductors call in to command centre to make sure they're on the proper track, he's confident the line is safe. The upcoming Valley Line will not rely on the same system, he said.